Abia State Governor Okezie Ikpeazu has celebrated Enyimba Football Club (FC) of Aba after the team booked a quarterfinal spot in this season’s CAF Confederation Cup (CAFCC). Enyimba defeated CARA Brazzaville of Congo 1-0 in a Matchday 6 clash at the newly rejuvenated Enyimba Stadium in Aba courtesy a 94th minute strike from Flying Eagles star Wasiu Alalade. The win was enough to send the Nigerian Professional Football League (NPFL) outfit into the first knockout stage of the competition as Group C winners. Governor Ikpeazu celebrated the team via a statement from his Chief Press Secretary, Eyinnaya Appolos. “The win is not just an encouragement to do more for Sports but also a welcome development to the supportive fans, Abians and Nigerians at large.” The statement read in part. 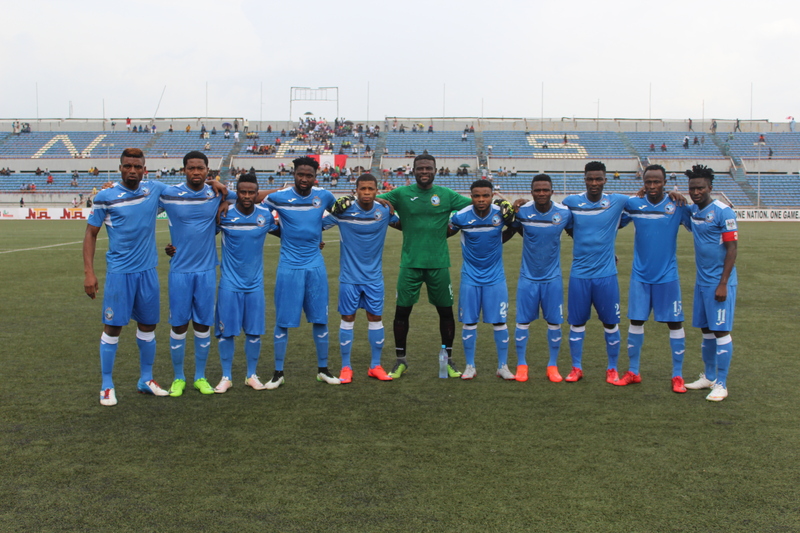 Enyimba will face Rayon Sport of Rwanda in a two-legged quarterfinal tie next month.